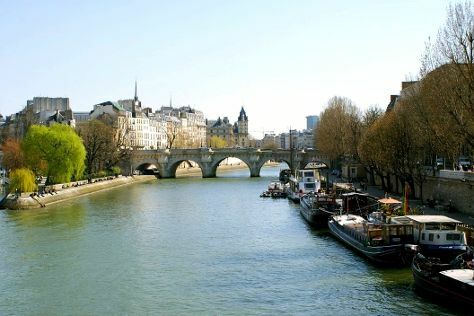 Get a sense of the local culture at Île de la Cité and Le Marais. Popular historic sites such as Palace of Versailles and Montmartre are in your itinerary. There's still lots to do: admire the striking features of Louvre Museum, take a stroll through Saint Germain des Pres Quarter, don't miss a visit to Cathédrale Notre-Dame de Paris, and contemplate the long history of Sainte-Chapelle. To see other places to visit, ratings, more things to do, and tourist information, go to the Paris online journey planner . Jeddah, Saudi Arabia to Paris is an approximately 10.5-hour flight. You can also drive; or do a combination of car and ferry. You'll gain 2 hours traveling from Jeddah to Paris due to the time zone difference. Traveling from Jeddah in November, expect Paris to be colder, temps between 12°C and 6°C. Cap off your sightseeing on the 6th (Tue) early enough to travel to Batumi. Get outdoors at Dolphinarium and Sarpi Beach. Your cultural itinerary includes sights like Batumi Boulevard and Ethnographic Museum "Borjgalo". Venture out of the city with trips to Kobuleti Beach (in Kobuleti) and Ureki Beach (in Ureki). There's still lots to do: admire the natural beauty at Batumi Botanical Gardens and don't miss a visit to Europe Square. To plan Batumi vacation without wasting time, ask Inspirock to design an itinerary. Fly from Paris to Batumi in 8 hours. Alternatively, you can drive; or do a combination of train and bus. The time zone changes from Central European Time (CET) to Georgia Time (GET), which is usually a 3 hour difference. Traveling from Paris in November, expect Batumi to be somewhat warmer, temps between 20°C and 11°C. Finish your sightseeing early on the 9th (Fri) so you can travel to Telavi. 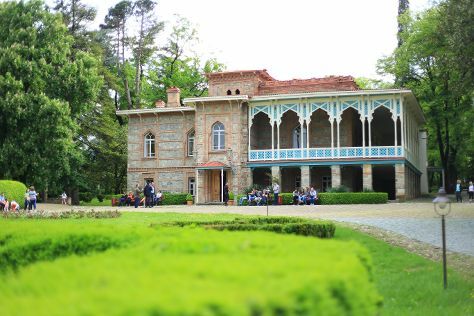 Kick off your visit on the 10th (Sat): pause for some serene contemplation at Alaverdi St. George Cathedral, cruise along Gombori Pass, do a tasting at Tsinandali Palace, then get engrossed in the history at Gremi, and finally step into the grandiose world of Gremi Citadel and Church of the Archangels. 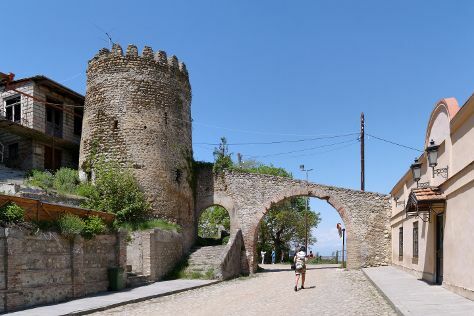 For reviews, other places to visit, maps, and other tourist information, read our Telavi online trip builder . You can do a combination of flight and taxi from Batumi to Telavi in 2 hours. Alternatively, you can drive; or do a combination of bus and taxi. In November, Telavi is little chillier than Batumi - with highs of 14°C and lows of 5°C. Finish your sightseeing early on the 11th (Sun) to allow enough time to drive to Signagi. Signagi or Sighnaghi is a town in Georgia's easternmost region of Kakheti and the administrative center of the Signagi Municipality. Start off your visit on the 11th (Sun): identify plant and animal life at Lagodekhi National Reserve, then contemplate the long history of Signagi City Walls, and then learn about winemaking at Pheasant's Tears Winery. Keep things going the next day: contemplate in the serene atmosphere at Bodbe Monastery of St. Nino, admire all the interesting features of Living Roots Ranch, then browse the exhibits of House-Museum of Niko Pirosmani, then take in the architecture and atmosphere at St. Stephan’s Church, and finally take in the architecture and atmosphere at Gurjaani Kvelatsminda Monastery. Planning Signagi trip won't be overwheling when you use's Insprock itinerary maker. Traveling by car from Telavi to Signagi takes 1.5 hours. In November, plan for daily highs up to 13°C, and evening lows to 5°C. 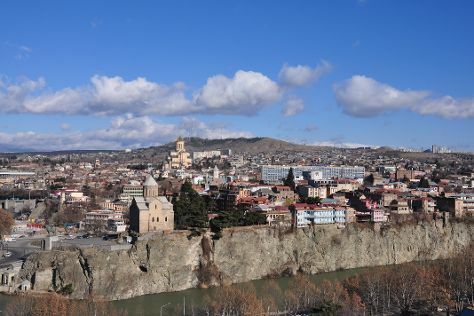 Finish your sightseeing early on the 13th (Tue) so you can drive to Tbilisi. Get some historical perspective at Svetitskhoveli Cathedral and Narikala Fortress. Do some cultural sightseeing at Tsminda Sameba Cathedral and Georgian National Museum. There's still lots to do: take in the architecture and atmosphere at Anchiskhati Basilica, look for gifts at Gallery 27, appreciate the extensive heritage of Old Town (Altstadt) Tbilisi, and try to win big at Shangri La Casino. To find more things to do, reviews, other places to visit, and tourist information, read Tbilisi route planner. Traveling by car from Signagi to Tbilisi takes 2 hours. Expect a daytime high around 14°C in November, and nighttime lows around 5°C. Wrap up your sightseeing by early afternoon on the 16th (Fri) to allow time for travel back home.